Jonathan Kozol, Fire in the Ashes. Twenty-five Years among the Poorest Children in America. Crown Publishers, August 2012, 368 pages, $27.00. 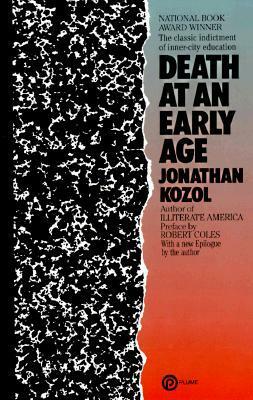 Jonathan Kozol’s first book, Death at an Early Age, echoed the engaged intensity of the muckraking journalism of the early 20th century. Published in 1967, it recounted Kozol’s abbreviated tenure teaching in the Boston public schools. Fired for introducing students to an “unauthorized” poem by Langston Hughes, Kozol retaliated with a searing indictment of the racism and incompetence he had witnessed in the classroom. Kozol’s compassion and empathy for his students animated every page, expressed in counterpoint to the contempt he felt for most of his colleagues, who were white, unrepentantly if sometimes unconsciously racist, and indifferent to the aspirations of their pupils. He befriends the children (and their parents) whose lives he is chronicling. In a series of often heart-breaking vignettes, Kozol demonstrates the enduring effects of fear, poor nutrition, and lousy schools on children raised in the shelter system. But what’s perhaps even more astonishing in these stories is the persistence of hope and the resilience in so many of the children as they fight their way toward adulthood. Kozol is active in their lives, too, helping financially and emotionally when he can. The children he calls Jeremy and Pineapple (all the names in the book are pseudonyms) persist despite the odds against them, graduating from college. But other children end up in jail or worse, unable to find a lifeline. The story of the woman Kozol calls Antsy and her son, Leonardo, must have been agony for him to write, loaded as it is with such sadness. There are heroes here, too, among them Martha Overall, a priest at St Ann’s Episcopal Church, who not only provides spiritual guidance to many of Kozol’s subjects but informally adopts one of the children, too. The woman Kozol calls Alice Washington remains loving and optimistic despite the odds. Kozol writes that what attracted him to Alice was “her irreverent sense of humor and her absolute refusal to succumb to the passivity that was induced in many of the others who were living in the Martinique.” Although her life was difficult, Kozol writes that Alice “rejected victimhood.” Kozol cloaks her with a well-deserved dignity. 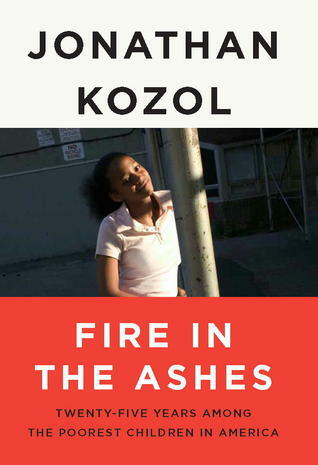 As I read Fire in the Ashes and thought about Kozol’s admirably principled commitment to chronicling the lives of the urban poor, I marveled at his staying power. His tone, too, has been consistent for almost fifty years—cool, smart, empathetic and, despite all the evidence to rebut his convictions, full of hope. Listening to it—and Kozol has a wonderfully conversational style—reminded me of another powerful prophetic writer who appeared on the scene at the same moment as Kozol. Ralph Nader’s Unsafe at Any Speed indicted Detroit for willingly selling dangerous cars, while Death at an Early Ageaccused the schools of willfully neglecting the educational needs of poor children. And while Nader has continued to rail against consumerism and political corruption, the cars we drive today are better in every way than the cars of the sixties—safer, more dependable, longer-lasting. But our treatment of poor children and our commitment to improving our schools? In many ways, it’s worse than ever. We don’t even pay lip service to any plans to improve the lives of the poor. Mitt Romney proudly announces his contempt for people fallen on hard times, faulting them for not being rich like him, which he implies is merely a matter of hard work, ignoring the priviliges coveyed by wealthy parents and access to great schools and universities. We’ve acquiesced in equating poverty with crime—we’re better at blaming people for their failings than at finding ways to help. We seem to care more for our cars than our kids. This is not a legacy to celebrate. Jonathan Kozol’s brilliant body of work shines a light not merely on the lives of the poor, but into the dark night of the American soul.